Theme: Hi-lo, fiction, middle school, family, life, adventure. The bus should have arrived at the Heights at five o'clock. Two hours later, there was no sign of it. Everyone was scared and confused. A bus full of students had vanished. These traditional reads are brimming with spirited characters and positive values—but with a little extra excitement and bite, so hold on to your hats! 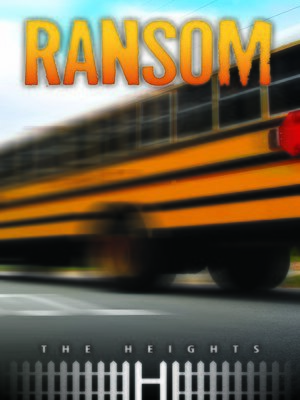 Written expressly for the middle grade struggling reader, the series does not contain strong language, edgy themes, or dysfunctional families. In fact, family is the main theme of these titles. And one particular Latino family is the focus with their uncanny knack for finding humor, hope, and colorful personalities—even in unusual circumstances. Written at the lowest reading levels, the 50-page story structure is straightforward and moves the reader through the text quickly and efficiently.